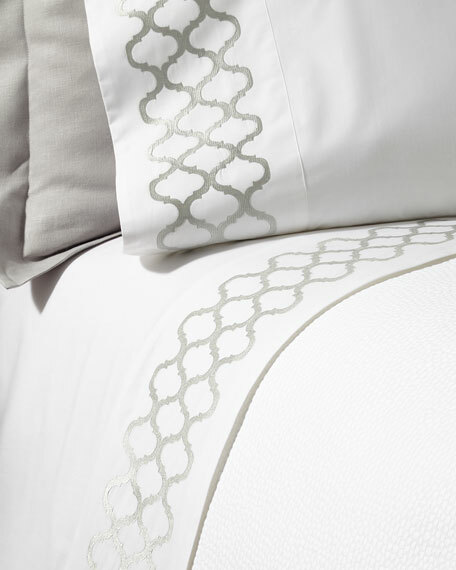 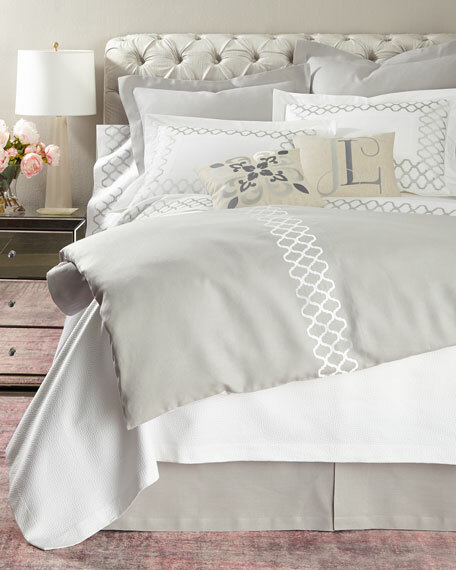 White cotton percale with silver embroidery. 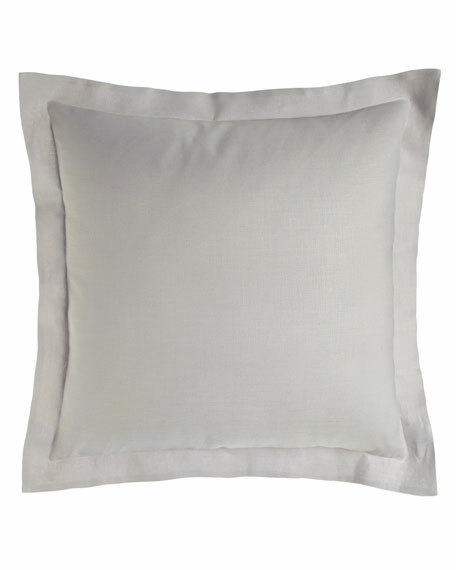 Made in the USA of Polish fabric. 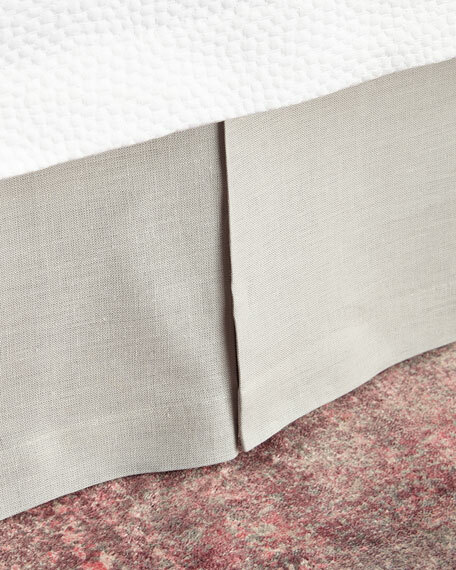 Tailored linen dust skirt with 16" drop. 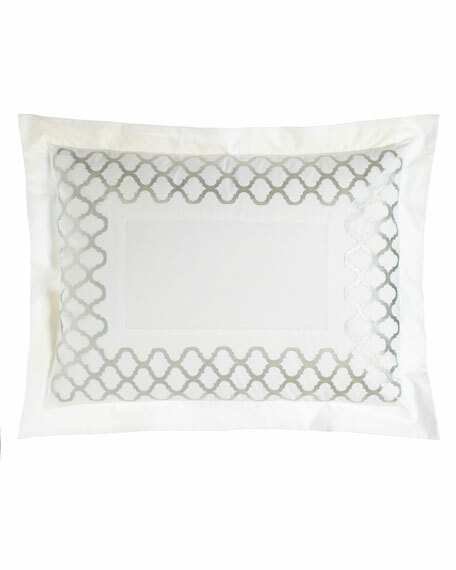 ANALI Tangier Pillow with Monogram, 16"Sq. 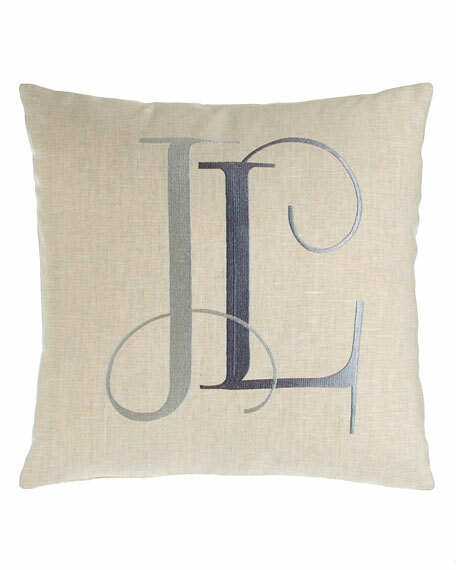 Two-initial monogram in style and color shown.